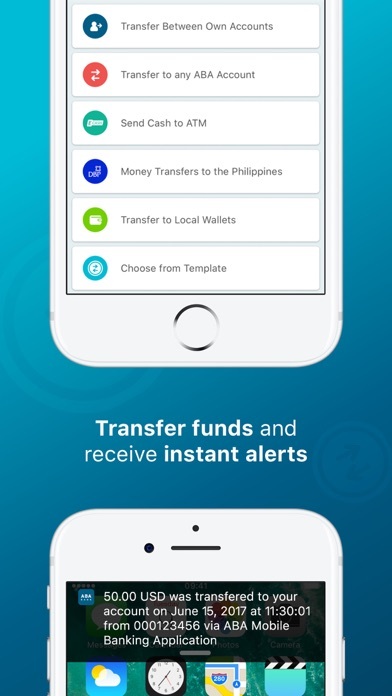 Developed by Advanced Bank of Asia Ltd.
We listen to our clients' feedback and constantly working on delivering new features for you in ABA Mobile. - We brought to you more services to pay under "Payments" section. 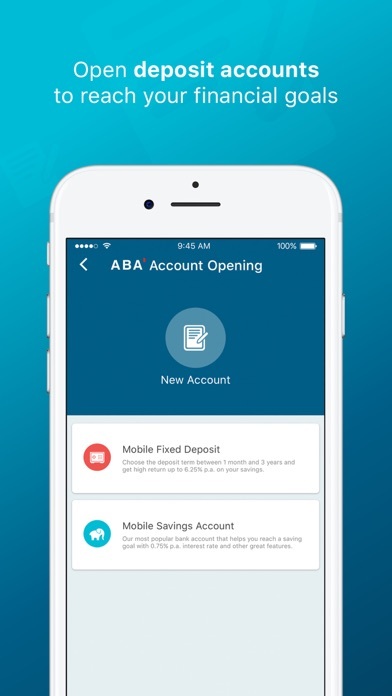 We developed ABA Mobile app for those who want to have around-the-clock access to their accounts on the go. 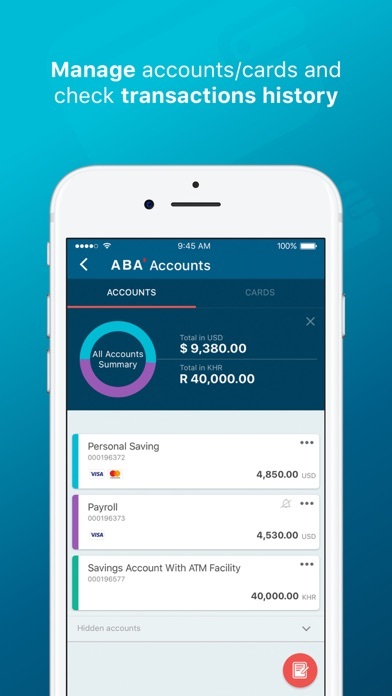 You can check your balance instantly, pay bills quickly, open accounts easily, and get much more great features. It is free to download, secure and easy to use – so why not give it a try? - Find nearest ABA branch, ATM or cash-in machine, and more. Watch the video to learn more: https://www.youtube.com/watch?v=4m-pa9u7sig. 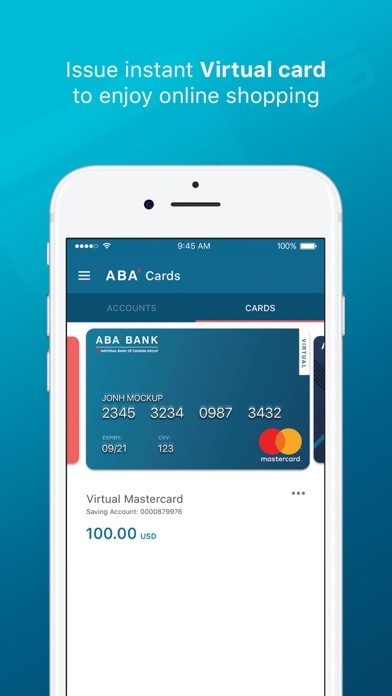 It is easy – if you already have an ABA card/account and registered mobile phone number with us, just download the app from your app store and follow the screen instructions to start banking with ABA. 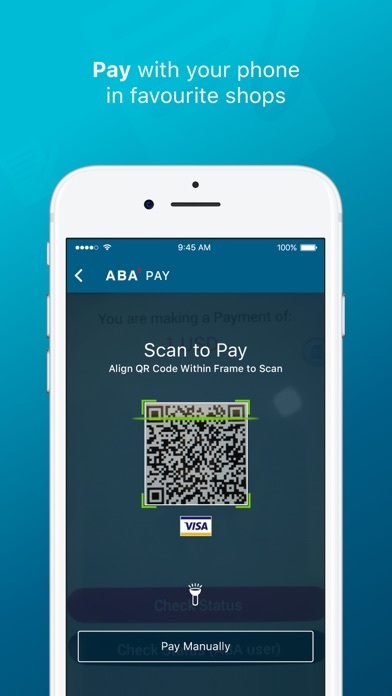 Watch our tutorial video on how to activate ABA Mobile here: https://www.youtube.com/watch?v=LcGksvu1xeo. You can also take your smartphone and visit the nearest ABA Bank branch to apply for the service. 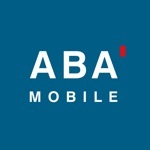 ABA Mobile app is FREE for all the basic features. We may impose charges for certain services of the app. Please ask our staff for more details. We considered your convenience and security as our top priority while developing the application. We ensure you that no information on your transactions or accounts details is stored on your mobile device or SIM card. Therefore, even if your phone is lost or stolen, your bank account is absolutely safe and protected. At the same time, we cannot guarantee stable and safe operation of the application on a rooted or jail broken mobile device or with customized (modified) operating system. The service is not applied to joint and corporate accounts. Terms and conditions are subject to change at the Bank's sole discretion without prior notice to customers. For more information, please visit your nearest ABA Bank branch, our website www.ababank.com or call our hotline at 023 225 333 available 24/7 for you.